The Flamingo and Stork tests are frequently used clinical tests to measure static balance. However, the association between these tests has not been explored to date. This study is focused on finding association between these two clinical tools in measuring static balance on healthy adults. Twenty-four healthy collegiate students were chosen on convenient sampling method. The Flamingo Static Balance Test and the Standing Stork Balance Test were carried out on all participants. Each subject was instructed on the test procedure and performed three trails on each leg, and the average was taken. Statistical Package for the Social Sciences (IBM SPSS) version 16 was used for data analysis. Test of normality was done. Based on this, Pearson’s R Correlation Test was used. When corelated, the Stork test values of right leg stance against the Flamingo test values of the right leg stance exhibited positive correlation r=0.646 with p= 0.001. Similarly, the Stork test values of the left leg stance against the Flamingo test values of the left leg stance exhibited positive correlation r= 0.5666, p=0.004. Hence, this study concludes that the Flamingo test and the Stork test have revealed high association to each other as a clinical tool to measure static balance with statistical significance. Balance is an important aspect that helps to maintain a stable posture for performing daily activities while counteracting external or internal conflicts . In terms of biomechanics, balance is the process that maintains the center of gravity (COG) or center of mass (COM) within the body’s base of support . When the body is at rest it is called static balance, and when the body is at steady state motion then it is called dynamic balance . The factors affecting balance are breathing, vision, vestibular function, and musculoskeletal alignment and proprioception . Tests to measure static balance are FICSIT (Frailty and Injuries: Cooperative Studies of Intervention Techniques) which includes parallel, semi-tandem, tandem, and one-legged stance test . Frequently used for research purposes are functional reach test, multidirectional reach test, standing stork test and the Flamingo test. Among these, the flamingo balance test is a total body balance test in order to test static balance . It achieves the requirements of simplicity, low cost, and is capable for mass investigations . This test assesses the strength of the leg, pelvic, and trunk muscle, as well as dynamic balance . Limitations are that equipment is required to conduct the test. The stork test is used to monitor the development of the individual’s ability to maintain a state of equilibrium (balance) in a static position . Advantages of the test is that no equipment required, it is simple to set up and conduct and it can be conducted almost anywhere. The disadvantage is that an assistant is required to conduct this test . Despite the fact that both these tests are widely practiced and used for research purposes, these two tools have not been correlated to each other previously. Hence, the purpose of this study was to correlate both of these tools to look for any significance. Figure 1 Materials; stadiometer, weighing machine, calculator, stopwatch, wooden beam. Twenty-four collegiate students from Dakshina Kannada were taken on convenient sampling method within the age group of 18-25 of either gender for this study. Candidates were excluded if he or she had any disease or functional impairments of the auditory, visual, vestibular and proprioceptive systems, history of injury to or surgery on the lower limbs and trunk, congenital deformities, current use of any medications that might alter postural balance, presence of knee or ankle clinical instability, and presence of neurological, cardiovascular, metabolic, rheumatic diseases and underweight and obese subjects. Materials used included weighing machine, calculator, stadiometer, and a wooden beam (Figure 1). The tests were demonstrated to all participants and the students were allowed to practice three times to avoid all possible errors. Tests were practiced with eyes open without shoes for both the right and left leg. To administer the flamingo test (Figure 2), the subject was asked to stand on the wooden beam (50 cm long, 5 cm high, 3 cm wide) with shoes removed on the tested leg and bend the free leg at the knee, and the foot of this leg was held close to the buttocks with both hands on the iliac crests, standing like a Flamingo. Participants were instructed to maintain this position as long as they can. Stopwatch was used to note each time the person loses balance either by falling off the beam or letting go of the foot being held or hands removed off the body . To administer the Stork test (Figure 2), the subject was made to stand comfortably on both feet with hands on the hip and instructed to lift one leg and place the toes of that foot against the knee of the other leg. The subject was then asked to raise the heel and stand on their toes on command. The stopwatch was started as the heel was raised from the floor. The stopwatch was stopped if the hand(s) came off the hips or the supporting foot swiveled or moved in any direction, or the non-supporting foot lost contact with the knee, or the heel of the supporting foot touched the floor . Every student was made to perform three attempts for each of the test and the average was recorded for statistical analysis of this study. Figure 2 Flamingo test (left) and Stork test (right). SPSS 16 version was used for data analysis. Test of normality was also done. Based on this, the Pearson’s R Correlation Test was used to correlate the measurements. Table 1 describes the demographic data of particpants of this study. 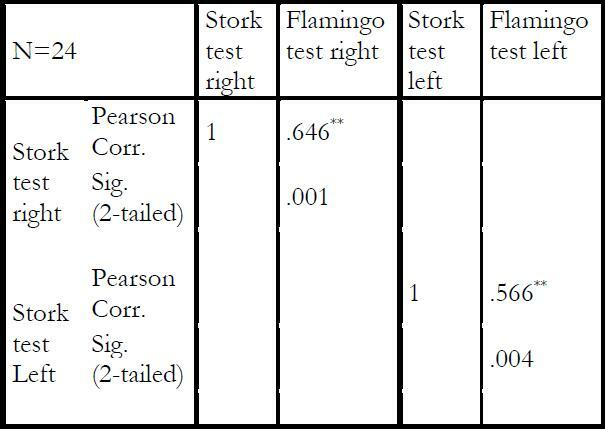 Table 2 illustrates the correlation analysis between the stork test and the flamingo test in the right and left leg stance. Table 3 provides mean values of the stork test values of the right leg stance. Table 4 provides mean values of the stork test values of the left leg stance. This study resulted in showing a good association between the flamingo test and the stork test measured on 24 healthy collegiate students. This result has shown high significance in all correlation values as r values were 0.64 and 0.56 for the right leg and left leg respectively. Hence, one can understand these two tests are highly valid in measuring static balance on the young adult, provided considering all advantages and disadvantages  for these tests discussed previously. Stork tests normative values and its reliability is already provided for 16-19 age groups. Out of this study’s result, one can practice both the tests interchangeably to assess static balance in healthy adults. Table 1 Participant’s demographic data. 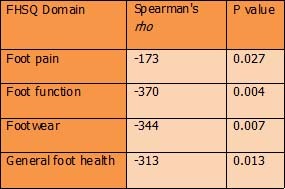 Table 2 Correlation analysis between stork test and flamingo in right and left leg stance. Table 3 Mean values of stork test values right leg stance. 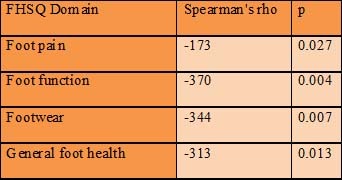 Table 4 Mean values of stork test values left leg stance. It is concluded that the flamingo test and the stork test which were administered on 24 collegiate students revealed high association to each other as a clinical tool to measure static balance with statistical significance. Hence, both tests are found to be highly valid in measuring static balance for young adults. Both the stork and flamingo tests are moderately associated to one another in evaluating static balance of healthy young adults. Therefore, it is recommended to evaluate static balance and can be of value in research purposes. P. Ratan Khuman, T. Kamlesh, L. Surbala. Comparison of static and dynamic balance among collegiate cricket, soccer and volleyball male players .International Journal of Health and allied Sciences; 2014, 3(1): 9-13. R. A. Bakhtiari. Evaluation of Static and Dynamic Balance and Knee Proprioception in Young Professional Soccer Players. Annals of Biological Research 2012, 3 (6):2867-2873. Johnson BL, Nelson JK. Practical measurements for evaluation in physical education. 4th Edit. Minneapolis: Burgess, 1979. Arnot R, Gaines C. Mobility and balance. Sports Talent. Harmondsworth: Penguin, 1984.